There always some leftover items in a home that need quick storage otherwise they will make a great home mess! So, to organize the messing collections of some additional materials, we often need some instant storage solutions and using baskets is always a great choice! 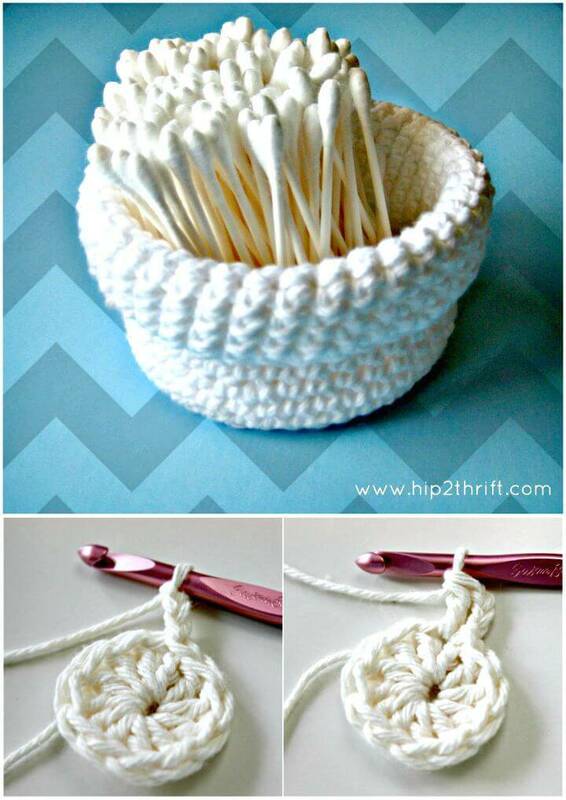 The excellent news is that you can also crochet some super beautiful yarn baskets with your crochet hook and can add smart and good looking storage solutions to your home! 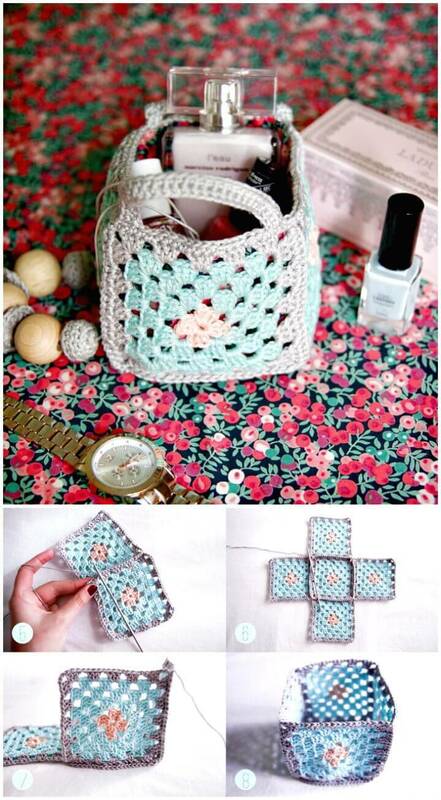 Hence you art of crocheting can also help you to declutter your interior environments! 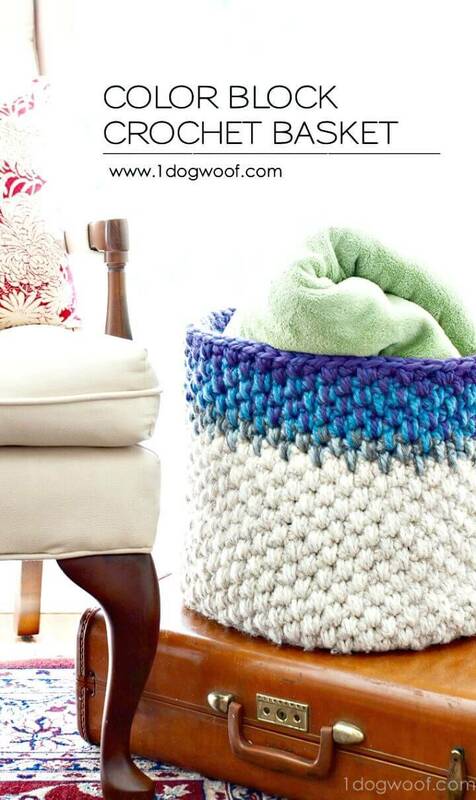 So, are willing to overcome the home storage problems by crocheting some lovely yarn baskets? 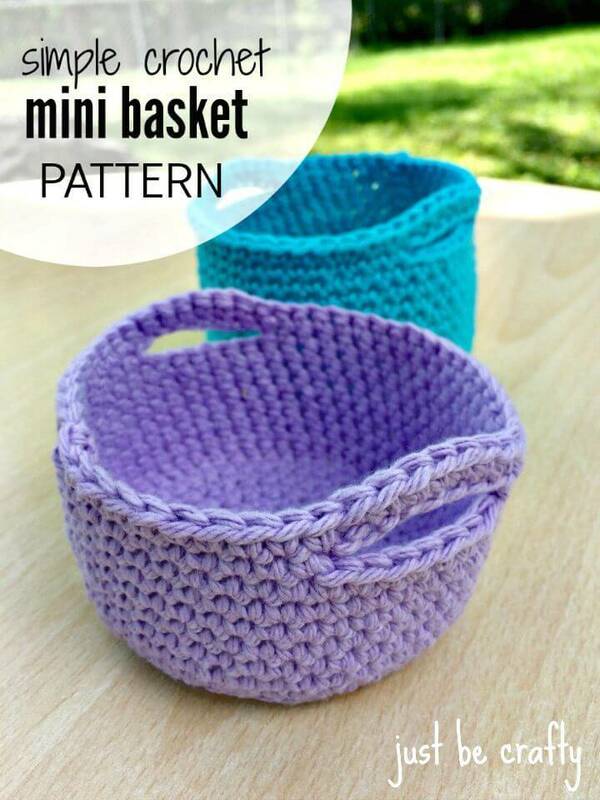 If yes, then here are 13 Free Crochet Basket Patterns that you can try to gain lovely yarn baskets of your choice! 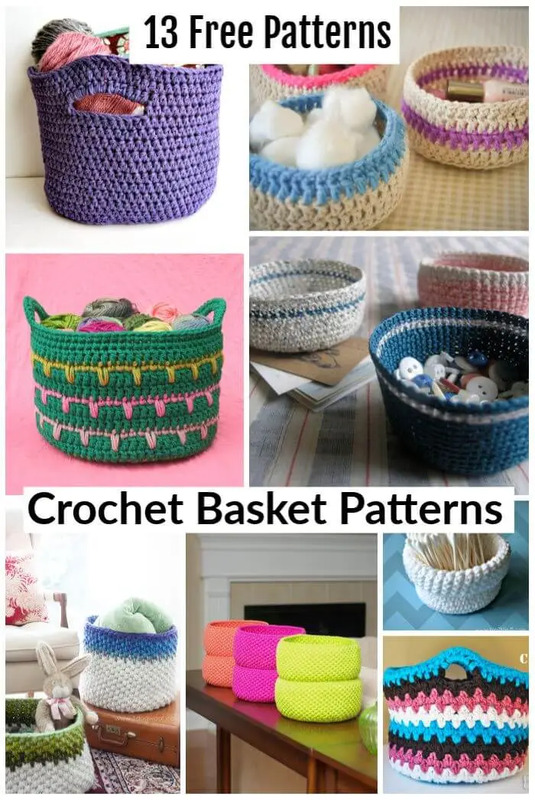 All these crochet baskets patterns are too smart and creative to inspire your hook and will make you get with more crocheting hacks and tricks! 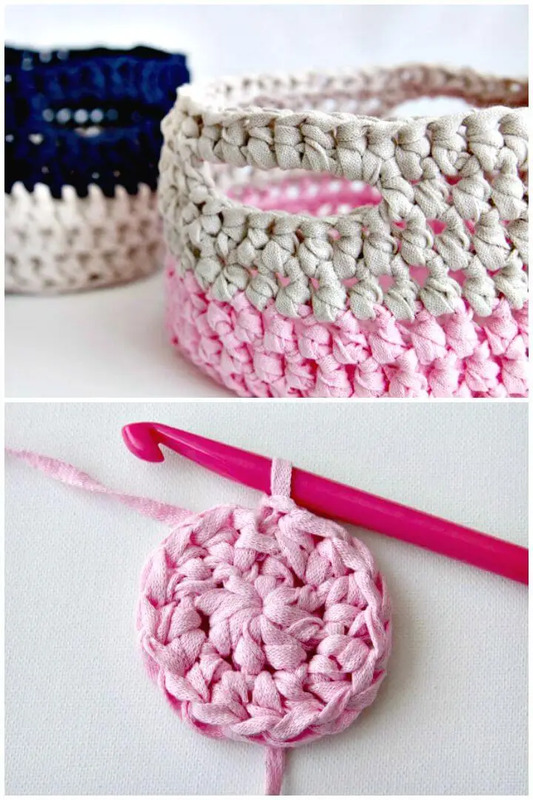 Go with the basic crochet stitches and crochet striped yarn baskets that will rock to store the craft room supplies like duct tapes, wool, and ribbon! 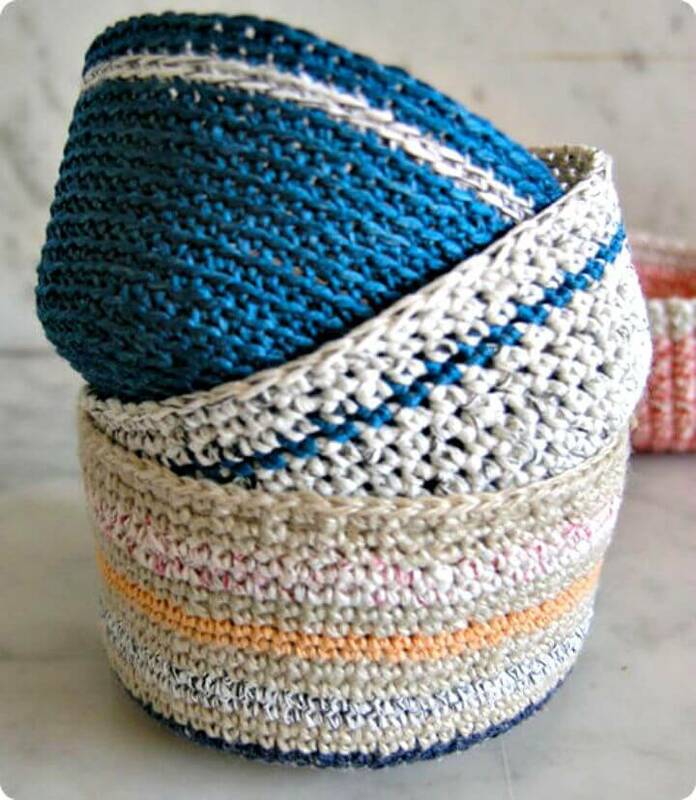 Go also with puff stitch and crochet the bigger color block crochet basket for your home or any space that need some storage solutions! 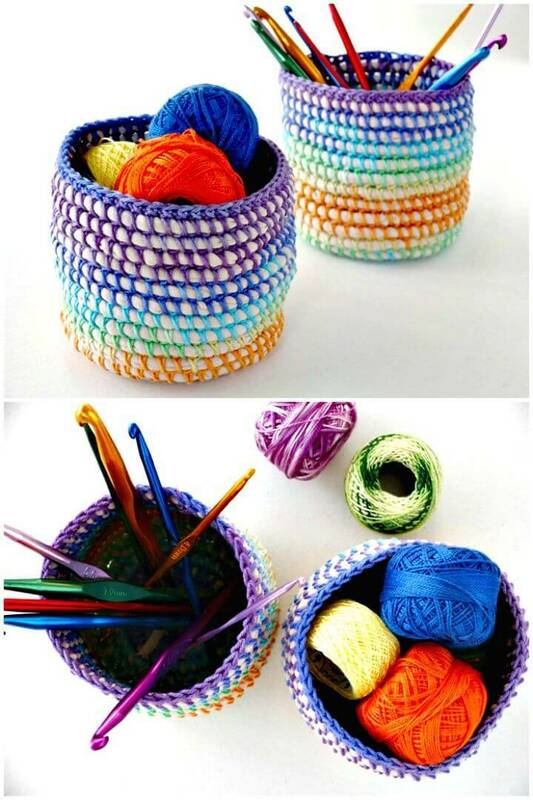 Crochet the mini cap style crochet baskets that will work great as the colorful desktop organizers and you can crochet granny stripe crochet baskets in different yarn colors that would be much focally stimulating and will itself be a great yarn eye-piece! 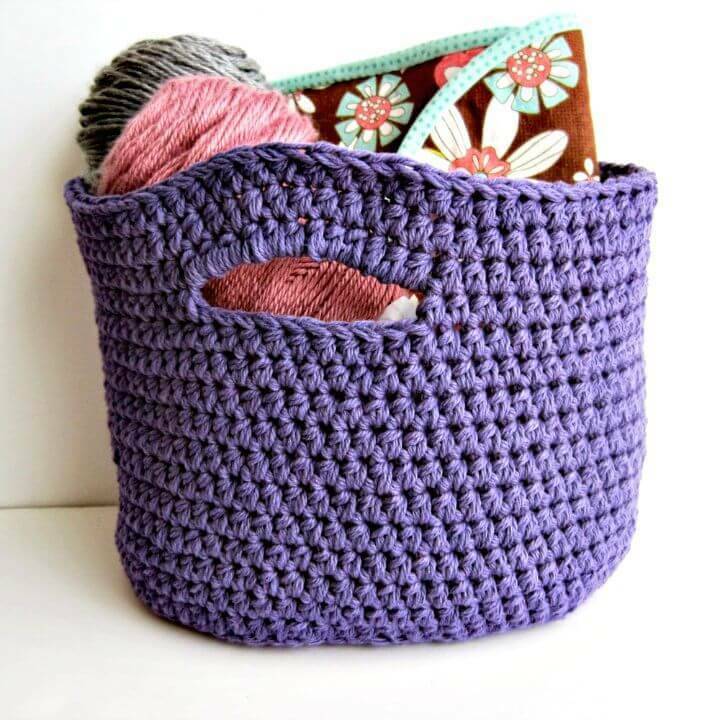 Work in spike stitch to crochet outstanding yarn baskets with super amazing design texture and crochet the single color crochet baskets with handles that will be super easy to lift over even when filled with storage items! 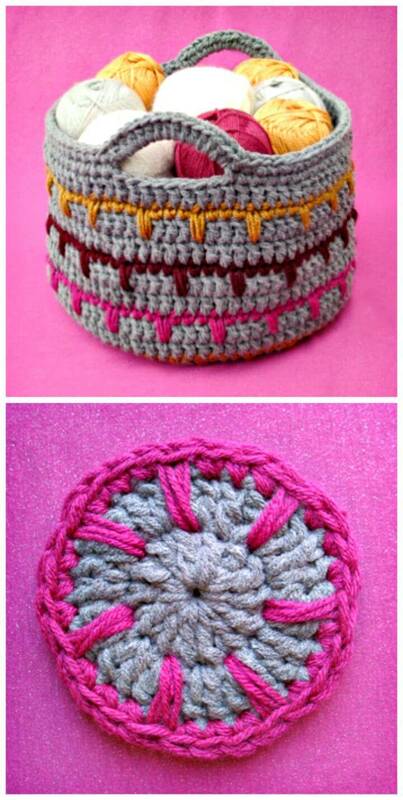 Moreover also start from the magic circle and crochet brilliant looking striped baskets for your home and space! 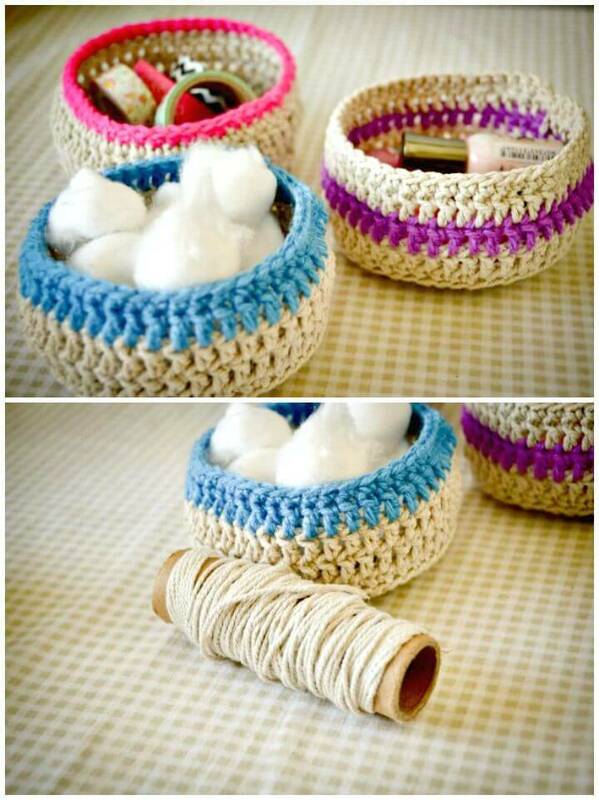 Crochet the yarn baskets with cuffed openings that will also look very handsome while filled with custom storage objects, here a miniature cuffed baskets have been made to hold the q-tips and is looking beautiful! Crochet also the precious rainbow baskets to organize your crochet supplies like the yarn strands and stock of crochet hooks! 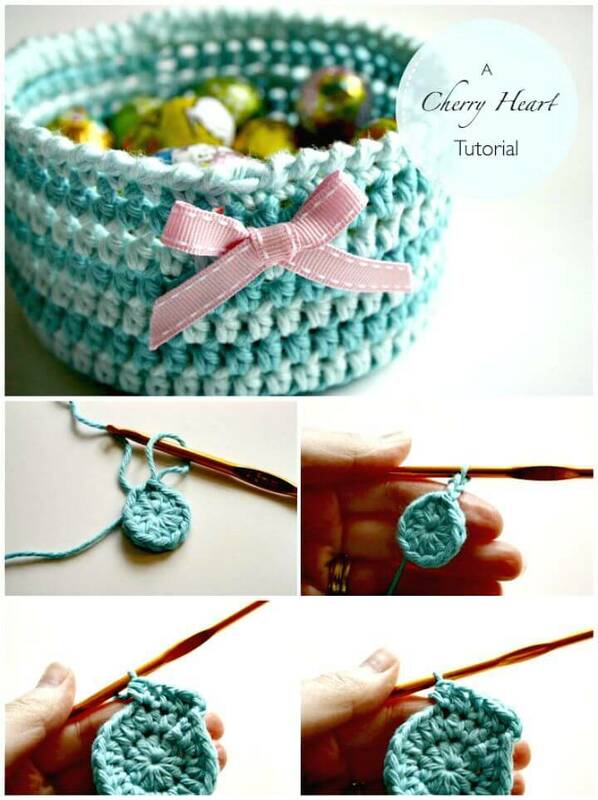 Crochet the mini granny squares and crochet lovely longer baskets with them with beautiful yarn handles! 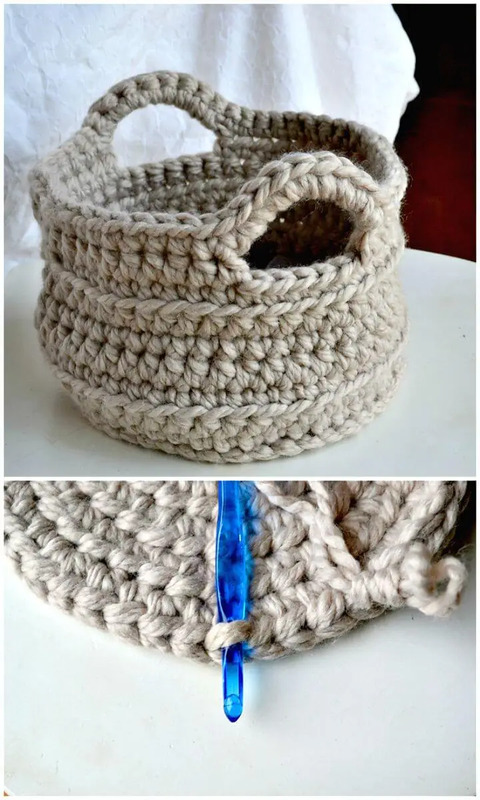 Next crochet the super chunky yarn baskets that may come with fantastic looking yarn handles for a graceful look and design! 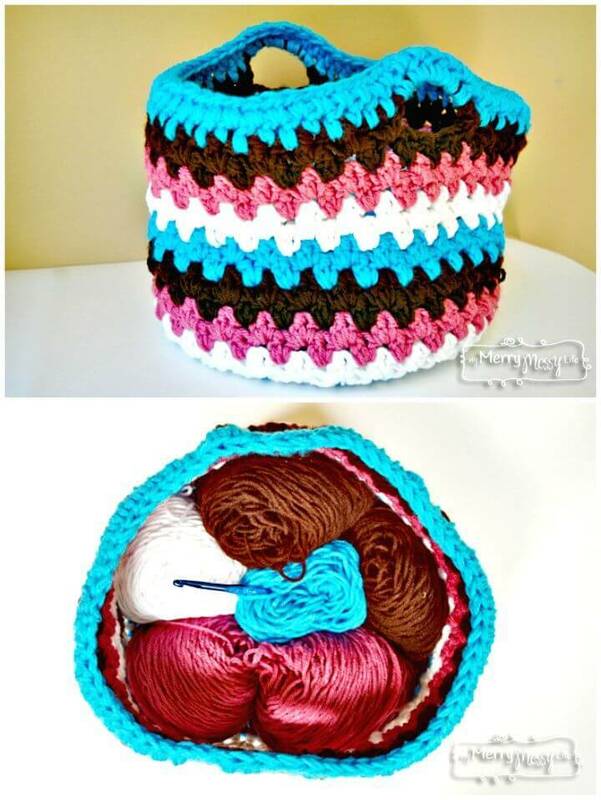 Crochet also the t-shirt yarn to make bigger and fantastic looking storage baskets, and you can work in the basic crochet stitches to crochet outstanding baskets in a custom size and with a custom appeal! Check out more basket patterns given below in the list and get your hook inspired! For a getting a full free crochet pattern for each listed crochet basket project, click on the respective source links!